The project WISE SEE (Women in Sustainable Energy South-East Europe) promotes women’s meaningful participation and representation in sustainable energy development, climate change and environmental protection. The project is being implemented by the civil society organization Center for Promotion of Sustainable Development – CPSD, financially supported by Swiss Cooperation Office (SECO) and with the institutional support of UNECE, Energy Community, Ministry of Mining and Energy of the Republic of Serbia and Ministry of Environmental Protection of the Republic of Serbia. The project has successfully mapped women professionally engaged in sustainable energy, climate change and environmental protection. It also created a database of around 180 women from Serbia professionally engaged in those sectors. The first survey among the women in Serbia was also a part of the project. It consisted of two parts: the first part was conducted among women professionally engaged in the sectors and its goal was to find out those women’s attitudes, position and roles. The second part of the survey approached women in households to find out their awareness and attitudes related to sustainable energy and climate change. 1,100 women participated in the research, whose results are presented in the publication Women in Sustainable Energy, climate change and environmental protection – LEADERSHIP FOR CHANGE. The ultimate goal of the project is to empower women, network them and make them visible and ready to contribute to bringing policies that pave the way for a transition to sustainable, green and low-carbon future of Serbia. 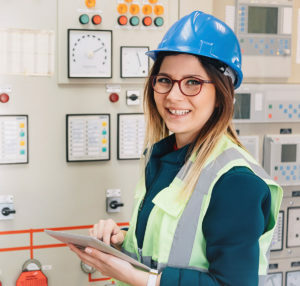 Women are globally perceived as powerful agents of change in transition to sustainable solutions in the energy sector, climate change and environmental protection. In order to fully utilize their potentials, knowledge and skills in Serbia, the first country in the region of South Eastern Europe to implement this project, it is important to incorporate gender equality perspectives into renewable energy sources, energy efficiency, climate change, and environmental protection projects, policies and planning. The project WISE SEE targets the gender-sustainable energy-climate change-environmental protection nexus and it is in accordance with the National Gender Equality Strategy of the Republic of Serbia for the period 2016-2020. Branislava Jovičić is President of the civil society organization Center for Promotion of Sustainable Development (CPSD), who, within the CPSD, also performs the role of Project Manager for the Balkan Green Energy News project. 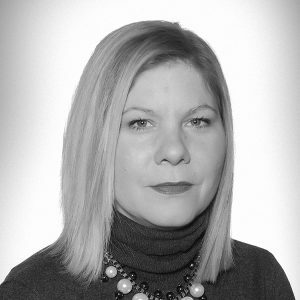 Branislava is a certified Consultant for Public Relations and Communications with 15 years of experience in both the corporate environment and consulting business. She strongly believes in sustainable development and regional cooperation, and is committed, both in her consultancy work and engagement in the civil society sector, to its promotion with a focus on the topics of sustainable energy and climate change. During her career Branislava has been working for and partnering with many companies and organizations: the Swiss State Secretariat for Economic Affairs(SECO), the GIZ Open Regional Fund for SEE – ORF-EE, the Japan International Cooperation Agency (JICA), the GIZ project Energy Efficiency in Buildings, KfW German Development Bank, the European Bank for Reconstruction and Development (EBRD), the Belgrade Fund For Political Excellence, Telenor, Hellenic Petroleum and her own public relations agency Beyond Communications Consulting. Mrs. Turkovic has specialized in the field of renewables over the course of a professional career lasting nearly 20 years. For the last seven years she has been engaged as entrepreneur in the development of renewable energy projects. Maja was actively involved in the establishment of the Serbian Wind Energy Association (SEWEA). 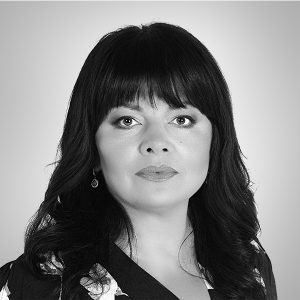 She is a member of the Serbian Chamber of Commerce’s Expert Team for Renewable Energy Sources and a member of the national CIGRE Committee on Electricity Markets. 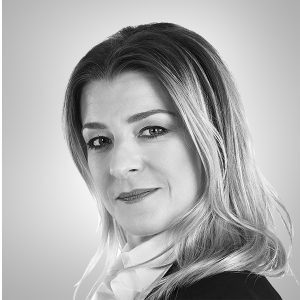 Mrs. Turković is also a co-founder of the Association for Sustainable Development. Apart from gender mainstreaming of public policies in different sectors, Višnja has worked on the development of over the 20 local action plans for gender equality and the National Action Plan for the implementation of the National Strategy for Gender Equality (2016-2020). She has also worked and gained significant experience on projects related to gender in environmental protection, waste management, disaster risk reduction and energy efficiency – on impact assessment and gender analysis, but also on capacity building trainings and guidelines for gender mainstreaming in these areas. 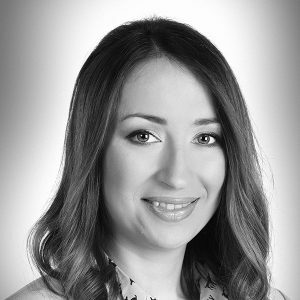 Marija Nešović is a chemical engineer, specialized in the field of environmental protection. Parallel to postgraduate studies, Marija works as an environmental and energy journalist. During the five-year engagement in the CSO sector, she participated in writing and implementing over ten projects, which included topics of sustainable development, circular economy, renewable energy sources, and climate change. She was a participant in several programs, workshops, and summer schools organized by UNDP, GIZ, and others, and visited numerous conferences in the country and abroad. The Center for Promotion of Sustainable Development Promotion (CPSD) is a civil society organization from Belgrade. Its mission is to promote and facilitate implementation of sustainable development goals in Serbia and other Balkan region countries through awareness raising campaigns, advocacy, and capacity building of relevant stakeholders. At the same time the CPSD is active on partnering with relevant sustainability developers, i.e. companies, development organizations, institutions, associations, other CSOs and individuals whose strategies, activities and programs contribute to the promotion of sustainable development goals. The CSPD was established in 2014; and in 2015 it developed, and has since managed the Balkan Green Energy News project.